Wedding season is picking up speed, by May and June I'm sure most of you will know at least one couple that is tying the knot. In my new role as an event coordinator, we are booked with weddings every Saturday until November! 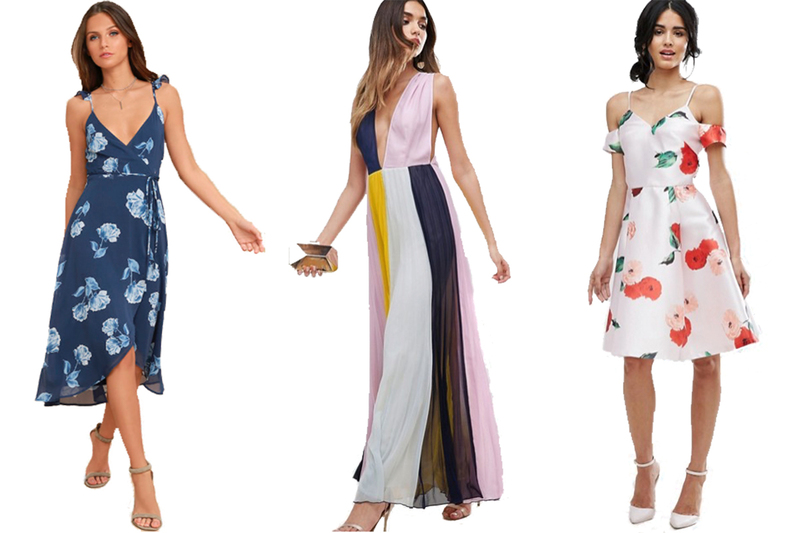 Thus, I thought it was only fitting to share some looks that are appropriate to wear to a wedding. In my opinion, one should be over-dressed rather than underdressed. Unless stated by the bride, or on the invitation, you should not wear jeans! I see this too often and it makes me cringe. If the bridal party is dressed up - I think it's just as appropriate for everyone to be as well! Whether the wedding is casual or dressy/black tie - I broke it up into two categories so you could see different options! I have seen some super cute looks this season - most of them fairly casual. 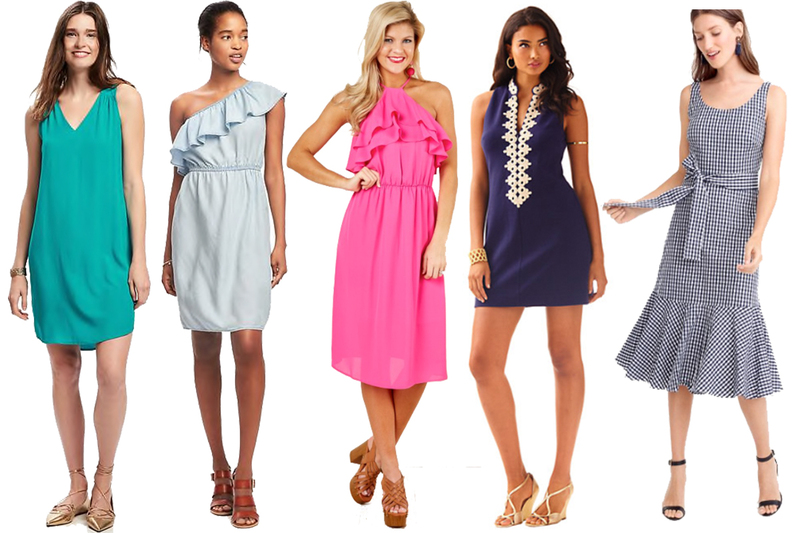 A common theme is a simple shift dress or skater dress with heels or wedges. One of my favorites a guest wore was this lace dress in a lavender color - so pretty! She paired it with a suede jacket and wedges to make the dress more casual. Another thought about this wedding season, especially if you have multiple weddings, is to re-wear 1-2 dresses. I always wear the same dress a few times; simply swap out accessories and shoes and you're good to go. 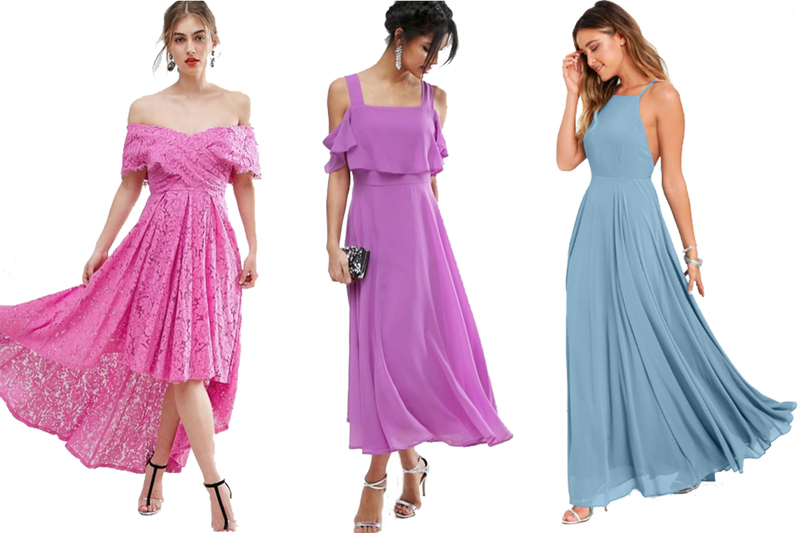 Share some of your favorite wedding guest looks below - I'm always looking for more places to recommend and shop myself!